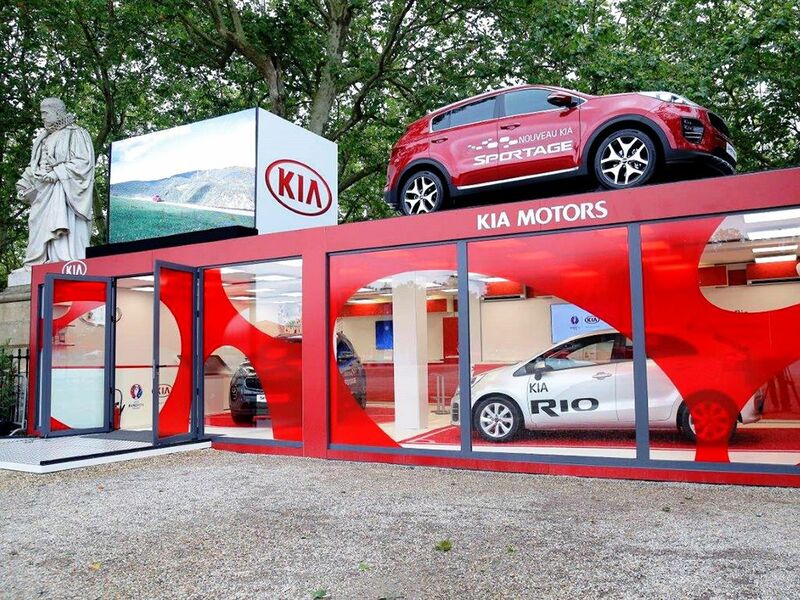 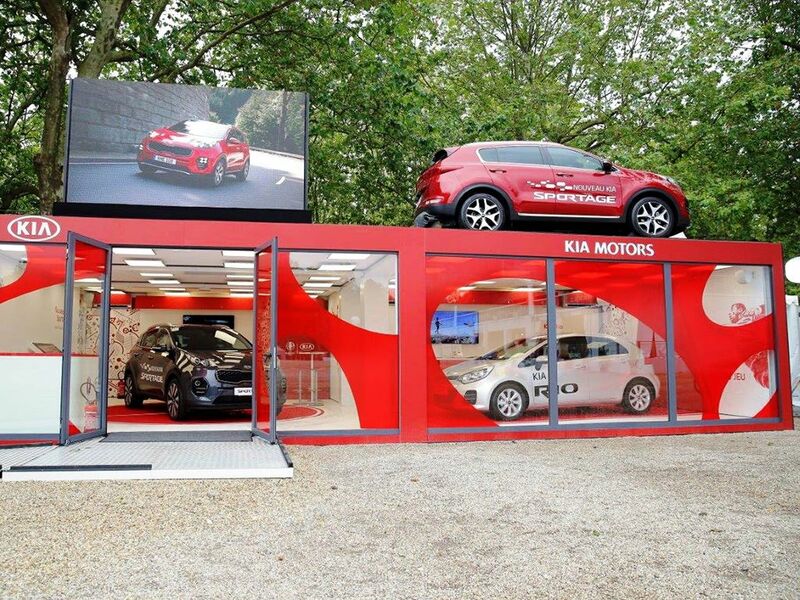 We created this individually designed sales shop for Kia Motors France using our portable cabins and accommodation units. 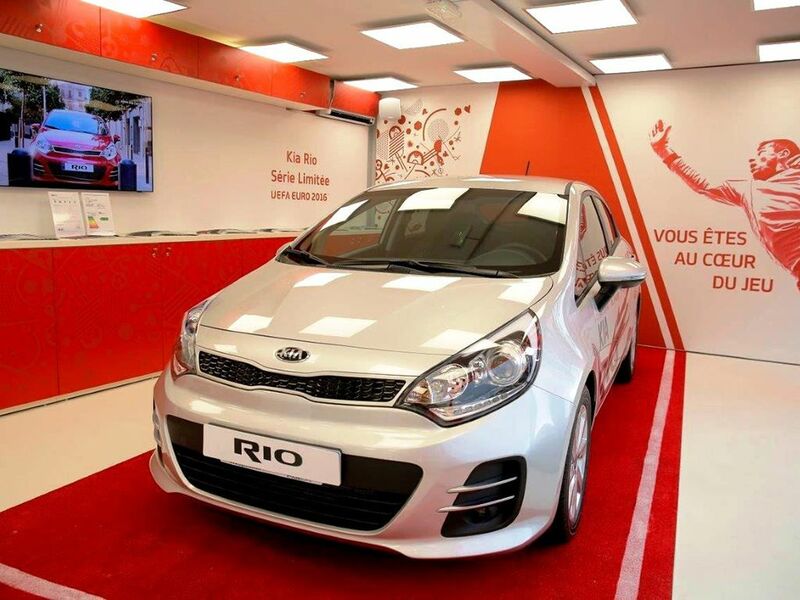 The unique look was developed in conjunction with our trading partner KASEO and implemented by them. 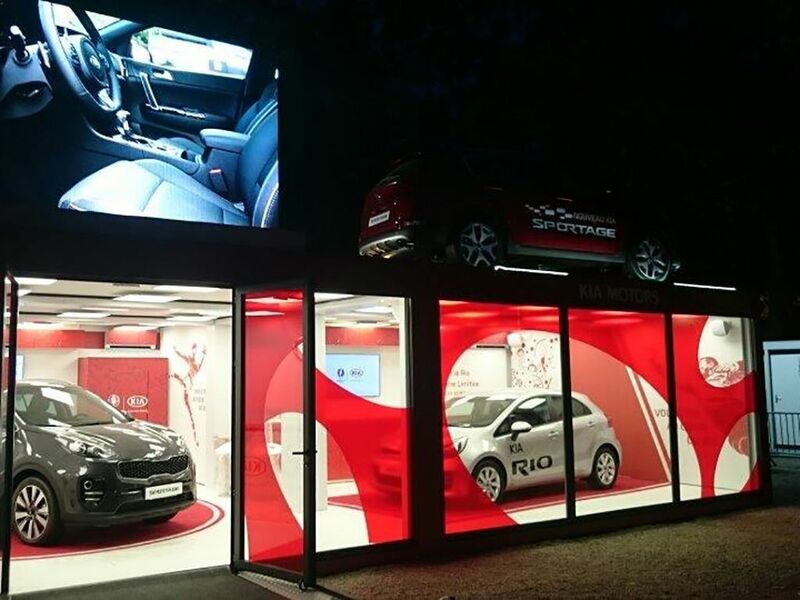 The large-scale glazing perfectly complements the display models and the lighting makes this modular building shine, even at night.